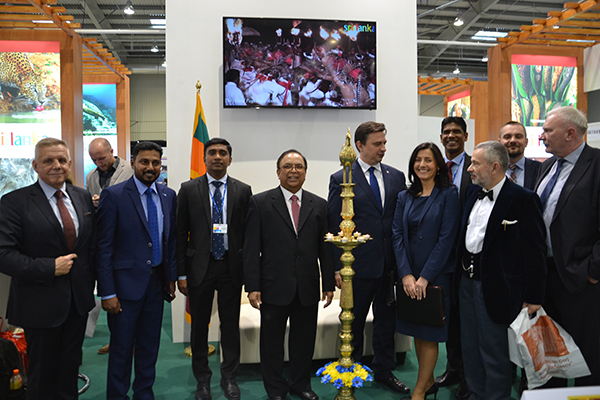 Poland is one of the emerging markets for Sri Lanka Tourism. Poland has about 38 million population and it is the 69th largest country in the world and 09th largest in the Europe. Sri Lanka has identified Poland as one of the emerging markets in Eastern European Region. 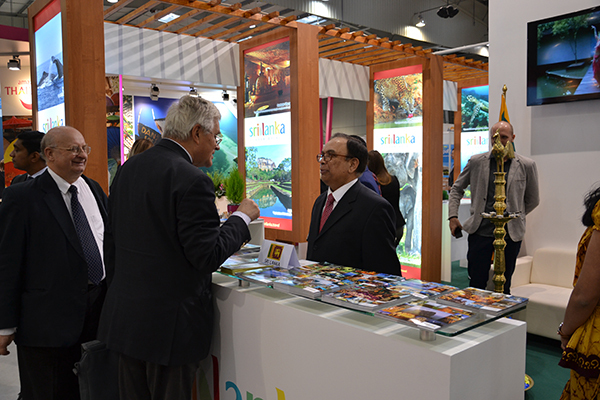 It is convinced with the tourist arrivals which were generated from Polish market so far. Sri Lanka Tourism has generated 13,245 tourist arrivals in 2015. TT Warsaw Tour and travel show is an unbeatable marketing tool for public and private companies and institutions. 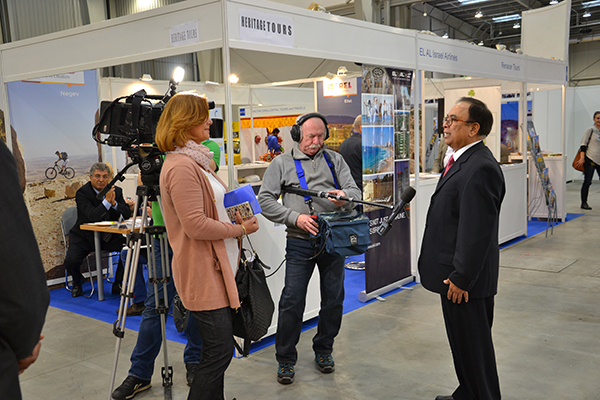 TT Warsaw trade show is one of the most important events for the tourism sector in Poland. It provides the possibility to reach both industry professionals and individual customers in one place. 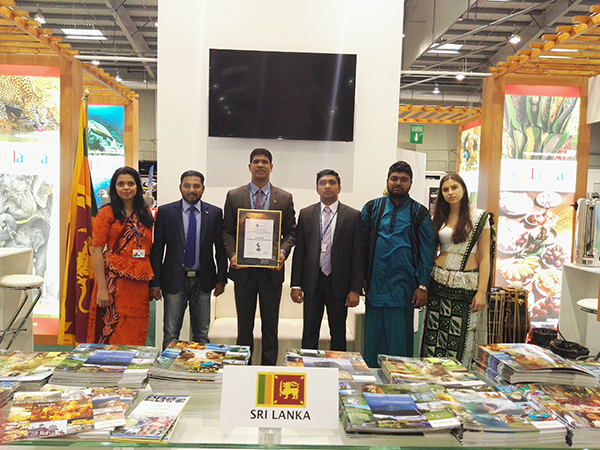 Sri Lanka Tourism participated at TT Warsaw Travel Fair in Warsaw with 03 industry participants from Sri Lanka. TT Warsaw is the most important meeting place in Poland for the international and Polish tourism industry to establish business contacts. Characteristic traits of TT Warsaw are the possibility to meet both individual and business customers and to promote Poland on the international passage. 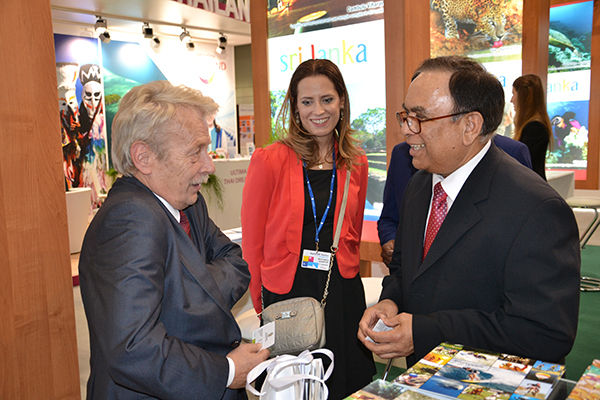 Business customers have a unique opportunity to attend business meetings of the international tourism environment and to establish valuable business contacts. It is the place of rewarding discussions which result in sharing experiences and knowledge and, most of all, comparison of offers leading to the conclusion of new contracts and cooperation with companies from all over the world. The first day of the show is dedicated exclusively for the industry and for business meetings. The second day of the show is open for all visitors and the third day of the show is dedicated for everyone. 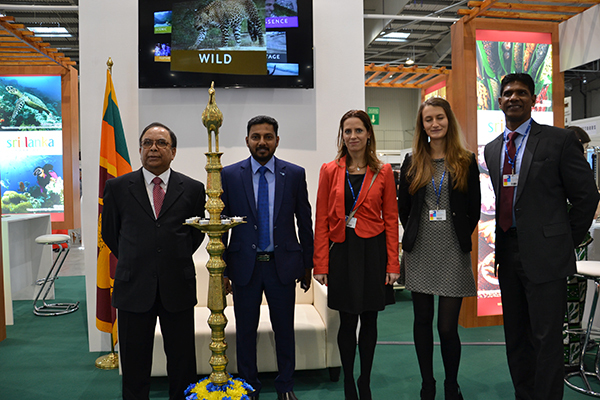 Sri Lanka Tourism Promotion Bureau concluded TT Warsaw Travel Fair in Warsaw, Poland from 24 – 26 Nov., 2016 with the assistance of Sri Lanka Embassy in Warsaw, Poland. 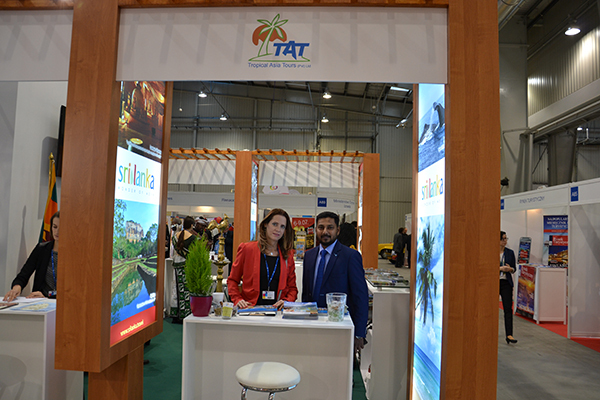 On the 24th Nov. TT Warsaw Travel Fair 2016 started with the participation of Sri Lanka Embassy in Poland and the industry members. Sri Lanka stand had a floor area of 42 sqm. 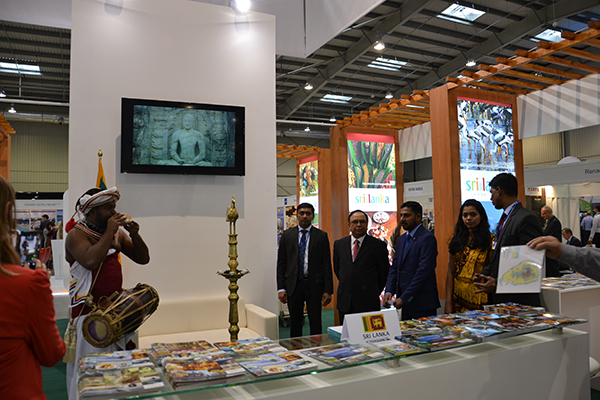 The décor used to decorate the stand highlighted all tourism attractions of Sri Lanka which warmly welcomed the visitors and gave them a flavour of perfectly blended culture, heritage and wildlife of Sri Lanka and Stand designed and constructed by “MAD – EXPO ” a stand constructor from Poland. 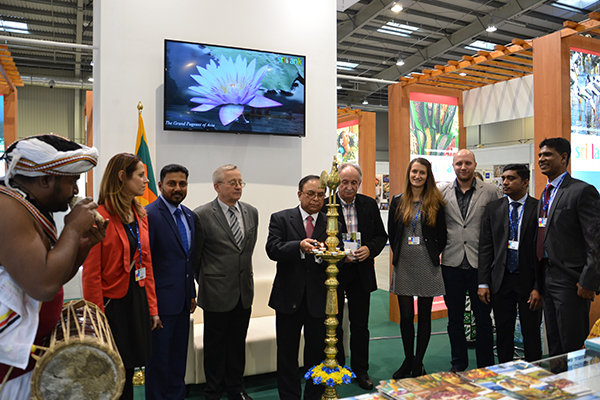 H E Mr. Tissa Wijerathne, Ambassador for Sri Lanka in Poland inaugurated the Sri Lanka stand at TT Warsaw 2016 on 24th Nov., the first day of the fair by lighting a traditional oil lamp with the embassy officials and the industry members of Sri Lanka to give a glimpse of Sri Lanka culture. 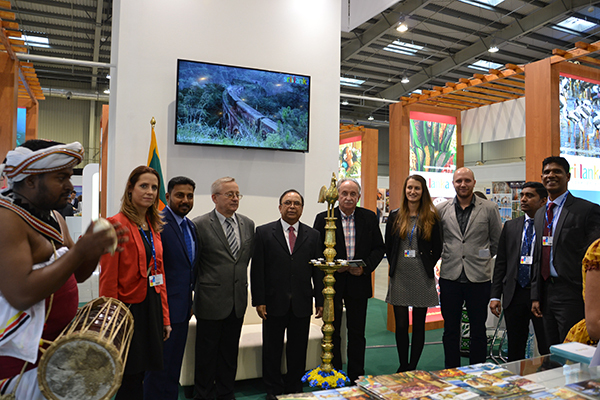 Taking into consideration the importance of Italy as one of the emerging tourists generating markets in Europe NKAR Travels & Tours, Tropical Asia Tours and E-Turismo Lanka participated as the co-exhibitors. 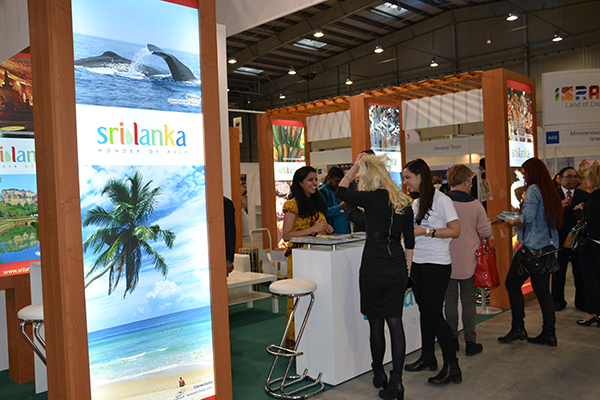 All the co-exhibitors at Sri Lanka stand who represented Sri Lanka Tourism industry succeeded in strengthening existing businesses and establishing new business contacts throughout the fair. They were satisfied with quality of business contacts they made during the event. 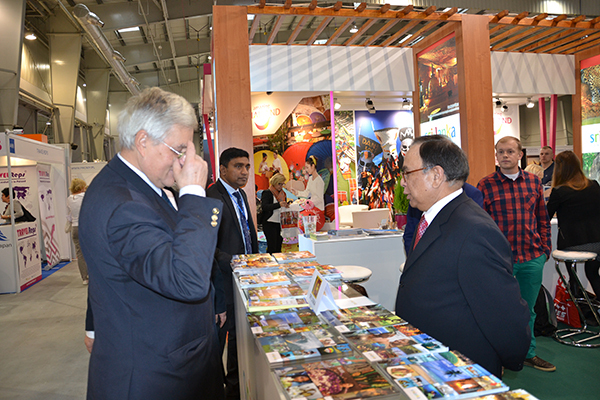 The trade visitors also displayed a particularly keen interest in Sri Lanka as a tourist destination and their response was extremely positive. This contest, called „Homo Turisticus”, is organized by MT Targi Polska with the participation of journalists, for the most original and professional exhibition stand. 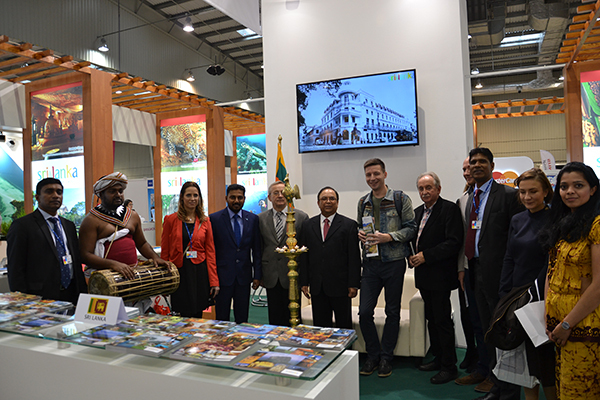 This year Sri Lanka won a Distinction Award for the Best Professional and Original Stand out of over 60 countries and over 500 exhibitors at the competition called “Homo Turisticus”organized by the Fair Organizer MT Targi Polska. The stands are evaluated by the jury composed of representatives of the media industry and representatives of the MT Targi Polska. 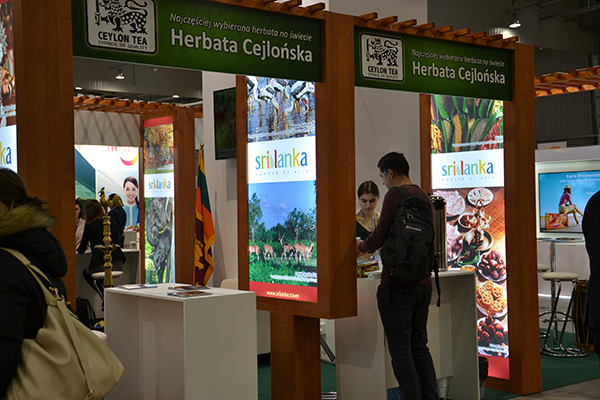 Some of the selection criteria by which the jury chose the Sri Lanka stand are originality and functionality, aesthetics building, consistency visualization stand with the presentation, professional customer service (open to visitors), promotional materials, program of accompanying events at the booth, etc.